A Faculty Interest Group (FIG) is a group of faculty within or across disciplines with a mutual interest in some subject applicable to teaching. The group agrees to meet regularly to share ideas for a pre-determined length of time (generally one or two semesters). These groups are less formal than FLCs, but still engage faculty in regular efforts to share ideas about teaching that address their selected focus. 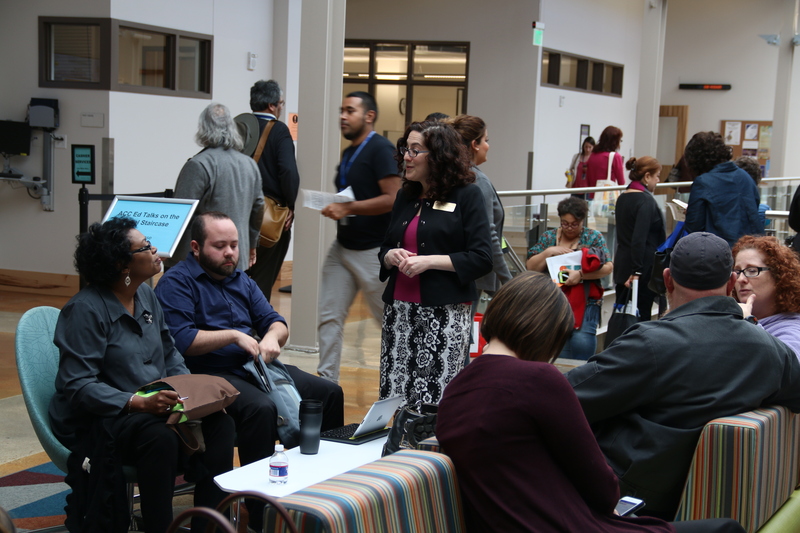 A Faculty Learning Community (FLC) is a group of faculty that work together for a year who are committed to learning from each other across disciplines to improve their teaching practice. FLC members select a focus and agree to produce some “deliverable” product by the end of the project. ACC’s Faculty Center for Teaching and Learning (FCTL) is pleased to support opportunities for ACC faculty to engage in instructor-centered and initiated groups of like-minded peers to explore shared topics of interest. A group of faculty within or across disciplines with a mutual interest in some subject applicable to teaching (see suggested topics on this page for some ideas). An FLC is more formal and longer in duration than a FIG. It consists of an group of an interdisciplinary cohort of faculty who work together to research, discuss and implement a new teaching strategy to create a well-defined project. Logs of meetings, topics, and attendees. As this program grows, we’ll keep a running list of current and past groups. Learn more about FLCs! Check out this book at the ACC Library. Fill out this form to start the process of becoming an FIG or FLC facilitator.